One of the amazing attributes of LG OLED commercial displays is the ability to reproduce perfect black. It’s a feat that not even the world’s best LCD commercial displays can achieve. But how is this possible? It has to do with the technology and structure of the display. An LG OLED display does not require a backlighting unit (i.e., a fluorescent bulb or LED configuration that is always on) to produce the image. Instead, LG OLED displays feature individual self-lighting pixels that can turn on, brighten, dim and turn off completely. You can’t get any darker than turning off completely. So when LG OLED pixels turn off completely to reproduce a black area in the image, there is no light bleed from a backlighting unit to turn that deep black into more of a deep gray. With LG OLED, if we had a completely black screen with only one pixel lit, we’d see that single pixel clearly because there is no light bleed to affect the surrounding pixels and distort the image. It’s that precise. Perfect black also gives LG OLED the ability to reproduce the details that appear just above black, because it can turn the pixels fractionally on. What’s more, perfect black enables infinite contrast, so LG OLED can maintain incredible image sharpness when bright objects are next to dark areas. Regarding color, perfect black can enable truer color reproduction because there is no light bleed from other pixels to wash the color out. Indeed, perfect black has major advantages. But what can it do for businesses? Let’s say for example, we need to display fine jewelry content for a premium retailer. With an LG OLED display we would see the intricate facets of a diamond in crisp clarity with outstanding contrast. Whereas on an LCD the same facets could appear a bit soft, and might even display a halo effect from the light bleeding from lighter to darker parts of the image. 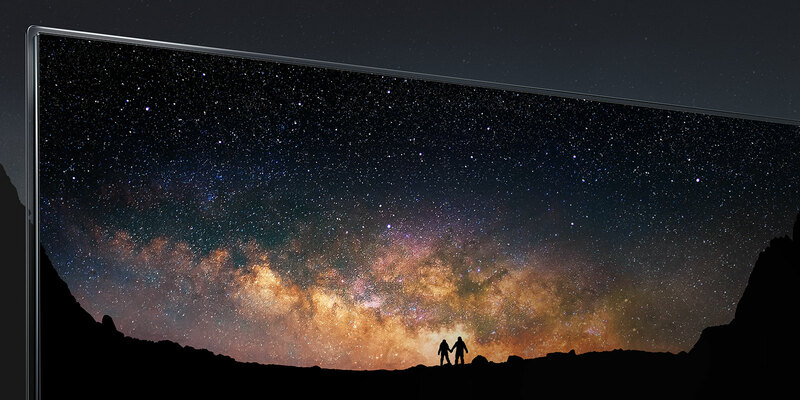 With LG OLED commercial displays, perfect black, infinite contrast, vivid and accurate colors, and wide viewing angles all add up to the pinnacle of picture quality—that can make products, logos, branding elements and other content look their absolute best, and attract and hold customer attention like never before. And the greater the customer attention, the greater the potential to boost your bottom line.